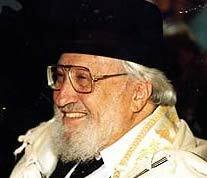 My father, Rabbi A.H.Lapin Zatzal, was my first and most influential rebbe (mentor). He taught me to balance technical precision in learning with deep conceptual understanding. He taught me always to innovate; “You can’t get excited about someone else’s idea if you haven’t at least brought a new angle to it. And if you’re not excited you cannot inspire. And if you cannot inspire, you cannot teach!” He and my mother taught us never to compromise the supremacy of Torah yet to incorporate the relevant wisdom of all the worlds in which we lived. They gave us a deep respect for science, music, art, and literature and a familiarity with current events. They taught us to bear and project ourselves with the dignity worthy ofbenei Torah, and insisted that we articulate our thoughts and communicate both orally and in writing with accuracy and style. He taught us to be faithful to our mesorah,never to succumb to political or social pressure, and to fiercely protect our integrity and intellectual independence. He taught us that our responsibilities to Klal Yisrael are paramount over and above anything else. We benefited enormously from my parents’ hospitality. As children we dined with Torah nobility and people of international secular achievements who were constantly guests in our home. As a little boy I remember spending countless hours in the company of gigantic personalities like The Ponevezer Rov, Reb Chaim Ze’ev Finkel, and the Chief Rabbis of Israel and the U.K. among so many other brilliant Rabbonimand Roshei Yeshiva from around the world. The conversation was always challenging, refreshing and provocative. They felt comfortable to express themselves freely in our home, and we benefited from those rich conversations. Similarly we participated at meal times in deeply intellectual conversations with professors, scientists, musicians, political leaders, writers, business geniuses and others who visited our home from around the world. Notwithstanding the richness and the breadth of our education at home, my parents courageously sent us as very young children to study in the great Yeshivas of Israel and England. There were no Yeshivas for beginners at that time, nor do I think my father would have sent us to anywhere other than the finest, leading institutions of the Torah world. As a child I spent time at Kol Torah in Jerusalem and later at Kefar Hassidim where I was indelibly affected by the power and passion of my father’s uncle, Reb Eliya Lopian zatzal . I learnt and had a personal relationship with him. 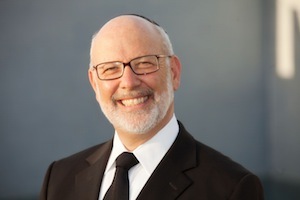 After high school, I went to Gateshead where I was privileged to learn personally with my father’s cousins, the Roshei Yeshiva: Rabbis Leib and Avrohom Gurwicz, and Rabbi Leib Lopian into whose homes I was warmly embraced. There I continued to see first-hand how Gedolei Yisrael live, learn, lead and teach. Then I went back to Kefar Hassidim where I was profoundly impacted in my thinking and learning by the great and brilliant Rosh Yeshiva, talmid of Reb Shimon Shkopp, Rabbi Eliya Mishkowskyzatzal. Not only did I learn in his shiur for several years, but I was also honored to learn one-on-one with him during that time, as together with me he prepared his major weekly Shiur Kelali. My final years in Yeshiva were at Mir where I learnt under the great Reb Chaim Schmuelevitch. All of this with my parents’ support and encouragement. We knew that my parents were involved in Chessed over and above their commitment to the community and to their teaching. But it was only after my father’s death that the stories came tumbling into us from hundreds of people who told us of what he had done for them, his selflessness and his extreme thoughtfulness. About those incidents, he never talked, for, more than anything, my father taught us to avoid any form of ostentation. He lived by “hatznei’ah leches in Hashem Elokecha” – walk in humility before Hashem, your G-d.